Rated 5 out of 5 by LikeAGoodStory from Five Star Game of the Year Unusual story line, plenty of plot twists, with great graphics and music. My idea of an ideal game and although I rarely think in terms of "game of the year," this is my choice, and it's November. 4Friends is one of my favorite developers, no matter the series. In particular, they take a story line and do something different with it. I really applaud that. Once again, well done! I was hesitant to play this game, as I was not impressed by the demo but my faith in the developer led me to the purchase, and I am glad it did. So, definitely try the demo but if you know the developer's work, take a chance. My reviews are based on completed play of the game. Enjoy. Rated 5 out of 5 by DJG1122 from Good Game I don't usually (ever) comment on games, but this is one of the best I've played in a long time. The casino/cards theme is unusual and kept my interest the entire game. I didn't have any trouble figuring out what to do next, but the game isn't exactly easy. Rated 5 out of 5 by lynnminer from FAVORITE GAME THIS YEAR!! I don't usually play a game in a few hours, but I did with this one because I just couldn't stop! It was incredibly fun with a different story-line. Yay! Lots of stuff to do and there's not one boring moment. Fun card games and more, as you have to beat all the rounds in the casino. (or else!) I REALLY hope they continue and make this a series. Love, love, love it. I have two words....BUY IT! Rated 5 out of 5 by Yanie1020 from Don't Understand the Bad Reviews I really don't understand the bad reviews. I loved this game and didn't want it to be over. I do enjoy casinos, so that could be part of the reason I liked this game so much. Some different puzzles, great graphics, and games you play against the "expert". I try not to skip puzzles but I did have to skip one, and that makes the game a nice challenge. If you can get past the shovel that's held up by tape (???) I think you'll like the game. A little different from most. 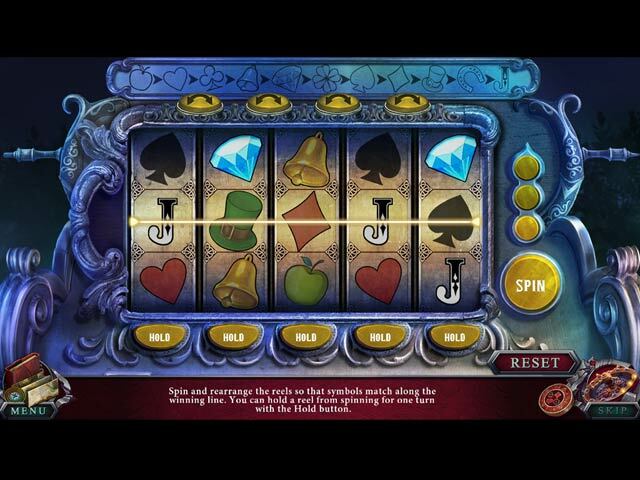 Rated 5 out of 5 by conja from Do you like to Gamble? 25 years after you have been dropped off at a shelter with nothing but a token and a burnt partial card, you set out to find out who you are. Your hunt finds you at an exclusive gambling hall where you must begin your hunt not knowing what is around each corner. You will open rooms where you play against the dealer and your life is staked on the fact that you must win. If and when you do, you receive a card that sets out a story about the person who held it. Their energy then becomes yours to be used as required. How good are you at roulette, dice or 21? Do you gamble? How's your memory? Can you escape the danger? Overcome each opponent to get you closer to your father. To end it all you must defeat the true master and only then will your father and all the others be free! 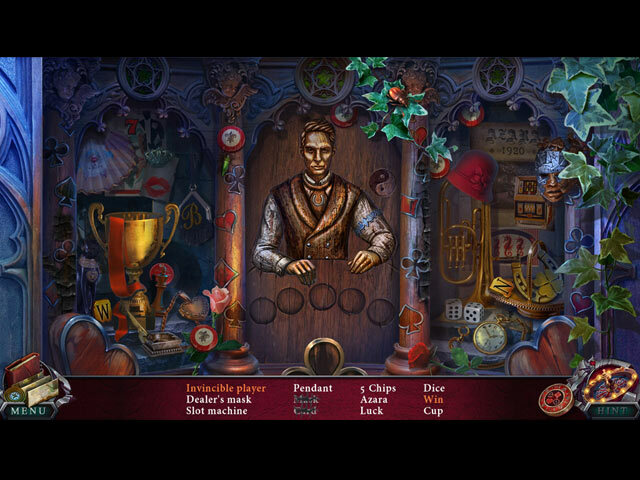 Enough hidden object and mini games to keep you hunting and guessing and just as you want to quit for the day, something else happens and you just have to see what's going on. Nothing unexpected in the graphics, storyline runs smoothly and the map works well. I certainly didn't expect the ending! Guess you can't have happy ever after all the time. Rated 5 out of 5 by skullfun from ~~EDGE OF REALITY 3 IS FANTASTIC EDITION TO THIS UNIQUE SERIES.~~ I really love the Edge of Reality series from 4 Friends and this third installment is just as fantastic as Edge of Reality: Ring of Destiny (2016) and Lethal Predictions (2017). The game begins showing what appears to be a man's hand who leaves a bassinett on the doorsteps of an orphan’s house back in 1895 with only a ripped photo of your parents and a casino chip. 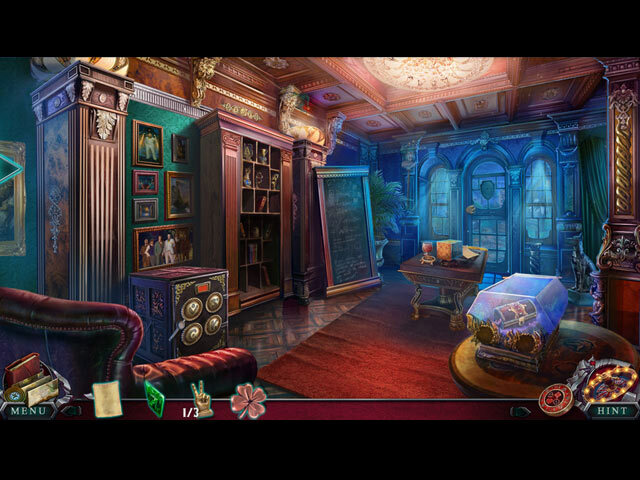 That very casino led you to Azara Gambler’s Paradise years later! Could your father be the one who left you at the orphanage? Will you find the answers to your questions about your birth parents when you enter the Azara Casino tournament? 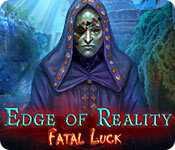 I have been eagerly waiting for a sequel to this series and Edge of Reality: Fatal Luck really surpassed my expectations because of how innovative and original the story and gameplay is for this edition to the trilogy. I definitely think this game and the series in general will be a "fan favorite" for those who love 4 Friends and I give this installment a five star rating. Cheers! Rated 4 out of 5 by norm0908 from HO's too dark I really liked the game overall, but have to complain about the visual quality. The art work was great, but developers need to take in to account that some of us just can't afford to have the latest, greatest, largest monitors. When they make the HO's so dark that you have to use the hint to find some of the objects it really takes away from the enjoyment and leaves you feeling a bit cheated. I found it interesting that the collector's edition with 50 reviews had about a 4 1/2 overall rating while the standard had only 3. Perhaps it's because it is not your standard cookie cutter game and many aspects of the game are quite difference which I found appealing.